It has been an amazing trip through the Arizona desert. 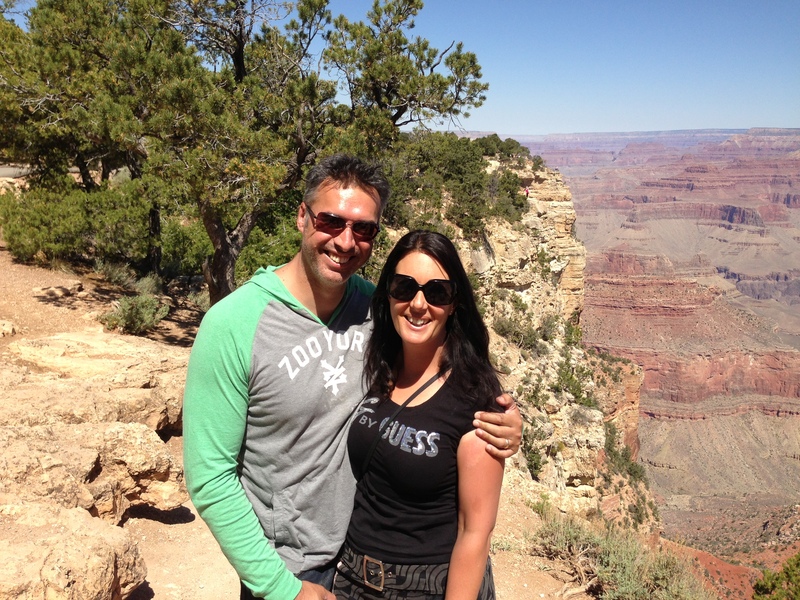 We took a day out from our time in Sedona, to make the two-hour drive northwest to the Grand Canyon. Vast. Perhaps the best way to describe the Grand Canyon. Like most things, pictures do not and cannot do the Grand Canyon justice. 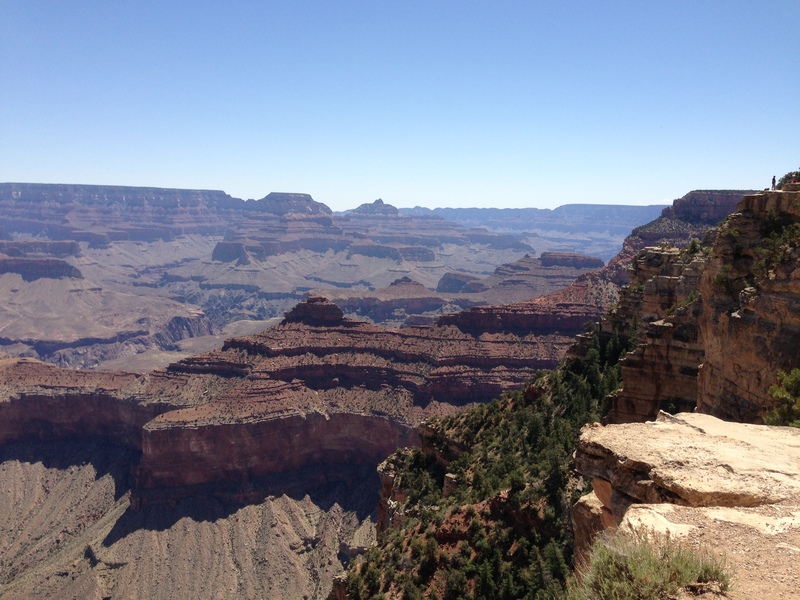 Standing at the edge of the rim, you are immediately struck by the sheer immensity and magnificence of it. The creative power of God in full display. Arguably, Arizona’s premier and most distinguishable landmark, next to Sedona, the Grand Canyon is a stunning 277 miles long, and more than a mile deep. The Colorado River snaking in a southwest direction on the canyon floor. 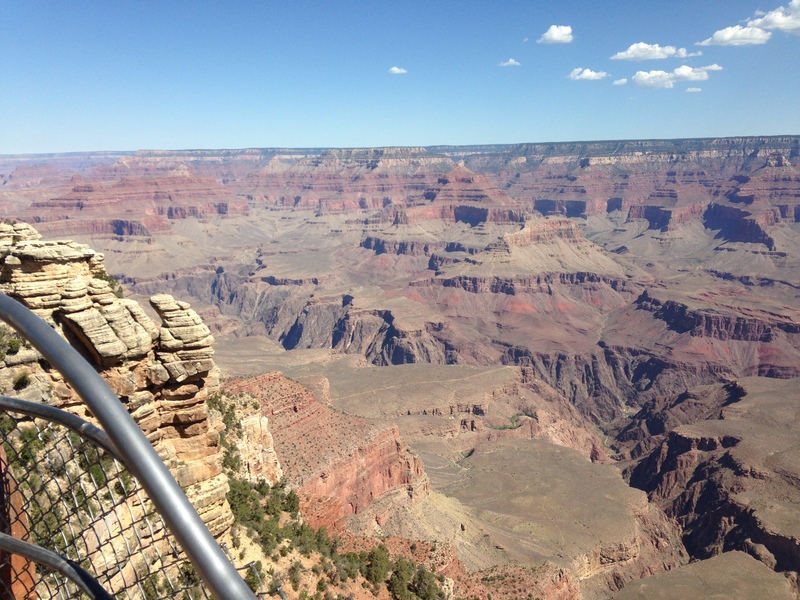 There are two main entrances from which to view the Grand Canyon: the South Rim and the North Rim. We entered the Canyon via the South Rim, and from Mather Point, essentially because of it’s proximity to the Grand Canyon Village and the visitor center. Starting from Mather Point, we walked the well-marked trail along the rim, parts were fenced, and other sections, astonishingly, were not. In fact, it was quite frightening how close you could get to the steep walls that descended all the way down to the canyon floor, and even more frightening to see some visitors virtually dangle themselves over the edge. On one occasion, we had to walk the kids away from the edge for fear of a person disappearing over the side due to two overly daring visitors. Free bus shuttles regularly ran back and forth between the visitor center and certain points along the South Rim. This made getting around the Canyon much easier and also meant that a lot of walking was not necessary. A final stop at the Grand Canyon Village to browse through the souvenirs completed our time at the National Park, and in the doing so, another ‘bucket list’ item was checked off. 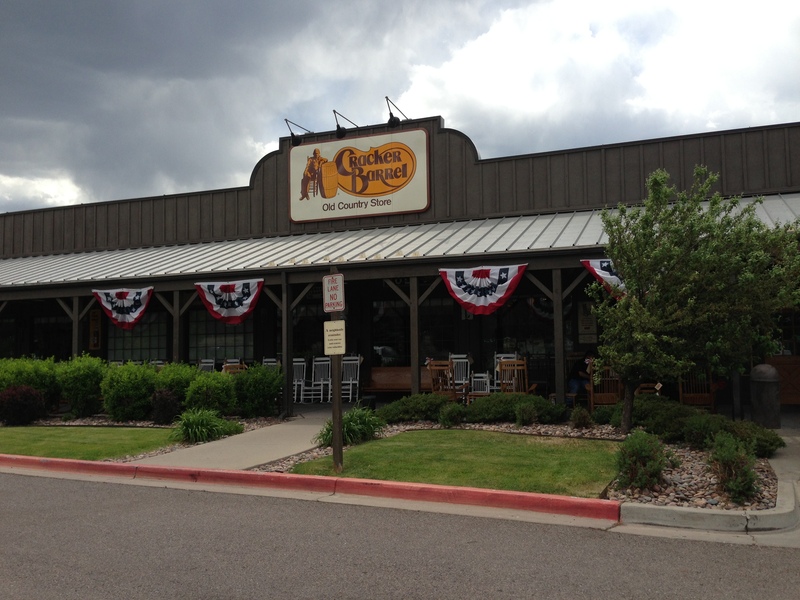 On the drive home, we grabbed some lunch at Cracker Barrel, an southern-themed restaurant and gift store chain that is not in California, but one that our American friends often raved about. We now know why – lunch was great and the store was both captivating and interesting. Great photos. 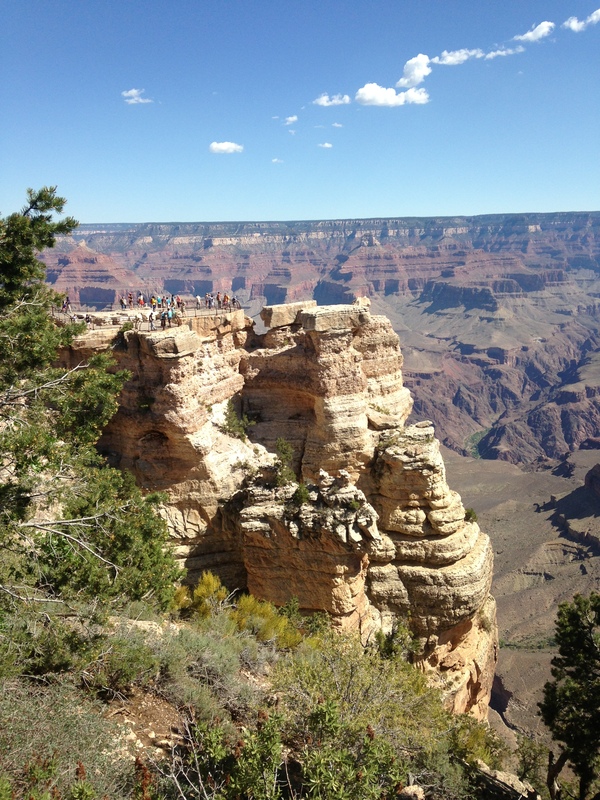 So glad that you got to visit the canyon, it is amazing!! It looks so nice and warm there. Thanks Tania. Actually, we had a slight mishap with the camera, in that the batteries died just as we arrived at the Canyon, so the photos are taken with an iphone. Doh! The weather here is great at the moment. In Cali, it is hovering around 90 degrees, but in Arizona, it was over 100 – and it is still only spring. We are so excited for you in what the Lord is in doing in Naenae – keep up the great and faithful work. Our richest blessings to you all.